The Nesting Doll brothers are back! Grab a miniaturized version of the Nesting Doll Brothers and open it to see how far you can get. Players who can reach +10 with their Nesting Dolls will be able to get the most wonderous rewards from the event. The event will begin after maintenance is complete on March 13. For Daevas level 76 or higher, talk to the First Nesting Doll Brother (found in the capital cities or Lakrum) each day to receive two +1 Nesting Dolls. Prestige Pass holders can also get one Nesting Doll for every 30 minutes that you are logged in (up to a maximum of six Dolls per day, per account). Open each Nesting Doll for a chance to reveal another Nesting Doll of a higher level. At +10, opening the Nesting Doll will reveal an [Event] Magic Paint and [Event] White Nesting Doll. Combine it to create a [Event] Magic Nesting Doll. If a +7, +8 or +9 Nesting Doll fails to reveal the next doll, the player will receive either a Nesting Doll's Gratitude, Nesting Doll’s Luck or Nesting Doll’s Boon each of which will contain a random reward as well as an [Event] Broken Nesting Doll. Additionally, you’ll be able to find Magic Paint, and +1 Nesting Dolls available on the Black Cloud Marketplace! There’s even a special daily bundle containing five +1 Nesting Dolls for only 20 Black Cloud Coin. If you collect 10 [Event] Broken Nesting Doll pieces, the Second Nesting Doll Brother will be more than happy to trade your broken pieces for one +1 Nesting Doll. [Event] Broken Nesting Doll can only be acquired when your Nesting Doll explodes before +10. The Youngest Nesting Doll Brother still has a lot to learn from his older brothers, so in the meantime he offers an [Event] Youngest Nesting Doll's Bundle for interested Daevas. You can pick up this bundle daily. Open the bundle to receive one [Event] Dye Bundle and one random buff scroll. Various types of buff scrolls can be acquired. All Dolled Up is here until March 27! Find out what’s hidden inside the nesting dolls before it’s too late. The Esports phenomenon sounds like a novel invention, but in fact it dates back to October of 1972. At Stamford University students competed in a game called Spacewar, and the winner got a year's subscription to Rolling Stones magazine. Years later, in 1980, a Space Invaders championship truly ushered in the era of esports, with over 10,000 participants and lots of media coverage. In the 90s, with the dawn of the Internet, esports had an opportunity to grow beyond one room and truly cover the globe. Big brands, including Blockbuster and Nintendo, began sponsoring esport events and championships further promoting this exciting activity. 1997 saw the Red Annihilation tournament which featured competition on Quake and saw the winner take home the Ferrari which belonged to the game's developer. As more events started taking place, often offering greater cash prizes, the audiences who watch esports also grew. Today, the esports industry is estimated to be worth over $1 billion and by 2020, the figure is expected to be closer to $1.5 billion. Similarly, prize pools have grown significantly, from a magazine subscription decades ago, to millions in prizes awarded to winners today. You can find all the upcoming events and see the live broadcasting of the game sessions for free on esportsguide.com website. Are esports different from traditional sports? For those who don’t watch esports, there may be some confusion as to what they truly are. 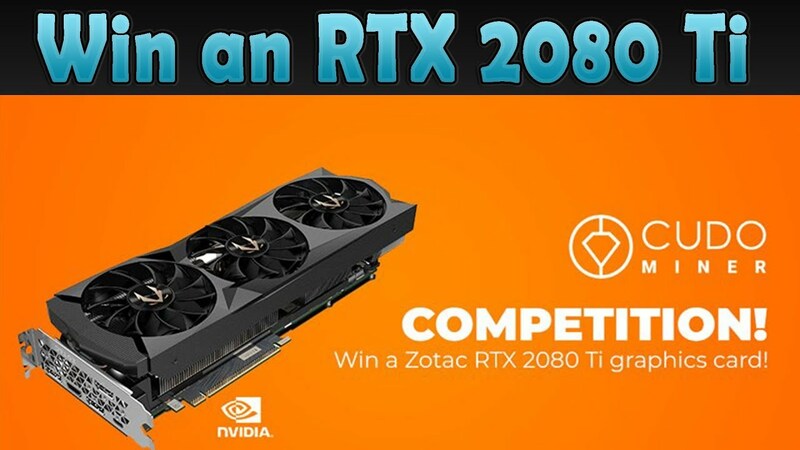 Esports are video game competitions where, at the very least, there is a winner and a loser. Just like with traditional sports, participants of esports can be individuals or teams. In the same way that individuals compete in tennis, and teams compete in football, different esport games allow for different team sizes. Another similarity is that both esport and traditional sports events attract cheering fans. In fact, certain esports live events garner the same multi-million audience numbers as major sporting events. Audiences can be in the arena or watch the action through esports live portals. The winners of esports are considered heroes and superstars by their loyal fans. 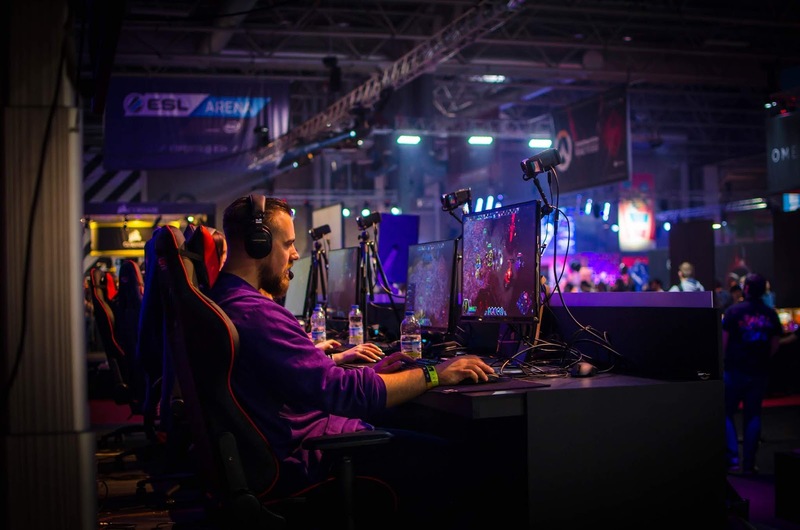 Just like with professional sports, players who train and compete throughout the year and receive income from traditional sporting events, professional esport teams also make a living playing video games. Whilst this may sound like a fun and easy career, it requires a mental ability and coordination. The teams which combine the right set of players can expect an income in the millions of dollars, participation in hundreds – if not thousands of esport events. Major esport events are spread out throughout the year in various smaller leagues. Normally, these leagues are region-specific and welcome teams from the same area to compete, with the winners moving on to international competition. If this competing mechanism sounds familiar, it is because it very much resembles how the FIFA World Cup is organised. Mentioning FIFA, it is quickly becoming one of the most popular esports, with football clubs actually engaging players to form their own virtual team. There are numerous similarities to esports and traditional sports. One of the major differences is that participants of esports are not as physically active as those of most traditional sports. Nevertheless, the pinpoint accuracy and split-second decision needed to become an esports champion mean that the mental abilities should not be underestimated. This guide is meant to serve as a starter pack to those who are new to the world of esports. Those who would like to watch esports should start with some of the major annual events in the industry. The International is probably the best-known esports event, with a prize pool running into the tens of millions of dollars! The event has been happening in Seattle annually since 2015, but those who cannot journey to the location can instead watch the esports live. The League of Legends World Final is another major event with a cool $1 million prize pool. It has been held annually in Los Angeles for five years. A smaller event, known as ESL One, is held in Frankfurt, Germany, and features the very popular DotA game. 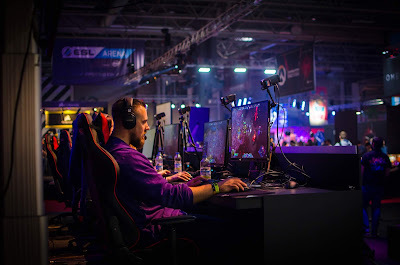 In 2019 it looks like the number of esports events will be increasing across the world, with Asian countries, especially Korea and China, set to dominate the industry. Apart from DotA, and now DotA 2, several games are used during esport events. Counter-Strike Global Offensive is probably the most popular one in terms of participants and number of tournaments worldwide. League of Legends, StarCraft II and Fortnite also place in the top five positions. Surprisingly, even less popular games, such as Gears of War or Battlefield 4 are played in hundreds of events annually and have prize pools in the hundreds of thousands of dollars. Beyond reading about the industry in this esportsguide, you should now enjoy some of the fun. Watch esports live and get the latest information on the industry by visiting esportsguide.com today. So today i decided to log on to Aion Destiny and finally craft my Hot Heart of Magic while it's still relevant. To my surprise i check the server pop and this is what I've found. Yup the server is still growing only 2 months ago the server was only at 500 peak and now we've pasted 1K. The World Of Aion Has Arrived On Mobile! 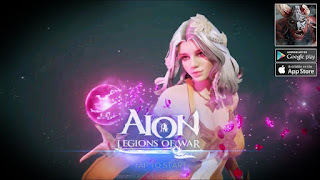 Groundbreaking graphics and stunning visuals await players as they collect powerful heroes, defeat dungeons of fierce enemies, and discover unique equipment to create the most formidable teams imaginable in Aion: Legions of War, the new mobile strategy RPG from NCSOFT. The first western-focused RPG from the world-renowned game company with over two decades of experience in MMORPGs is now available to download for free from the App Store and Google Play. Next-level Mobile Artistry: Console-quality graphics that can run at 60fps, original music score, a compelling storyline set in the Aion universe, and dazzling artwork come together for an unparalleled experience on mobile. Play with Friends: Players can join Guilds and participate in PvP and leaderboards for a unique multiplayer experience on mobile. Challenging the other warriors in Aion: Legions of War will unlock special in-game upgrades, weapons, and resource drops; joining a Guild allows for the exchange of vital information between members on strategies to beat larger-than-life bosses. After a record-breaking launch of mobile MMORPG Lineage M in Korea in 2017, NCSOFT is tapping all of its expertise to launch its first mobile RPG in the west with Aion: Legions of War on January 24. The game puts players in the midst of an epic fantasy conflict, where a practically endless choice of party combinations, attack abilities and equipment are combined with top-quality visuals for an unparalleled RPG experience. 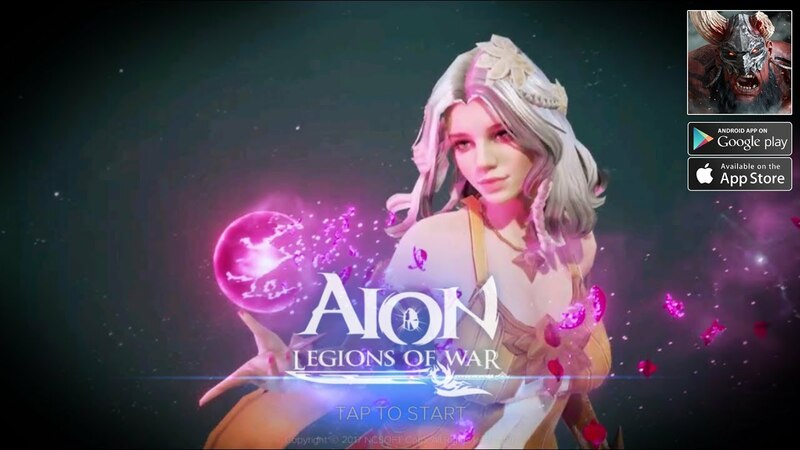 Aion: Legions of War will be available on the App Store and Google Play as a free download with in-app purchases, and beginning today, fans can pre-register and get special launch-day rewards by visiting www.aionlegionsofwar.com. 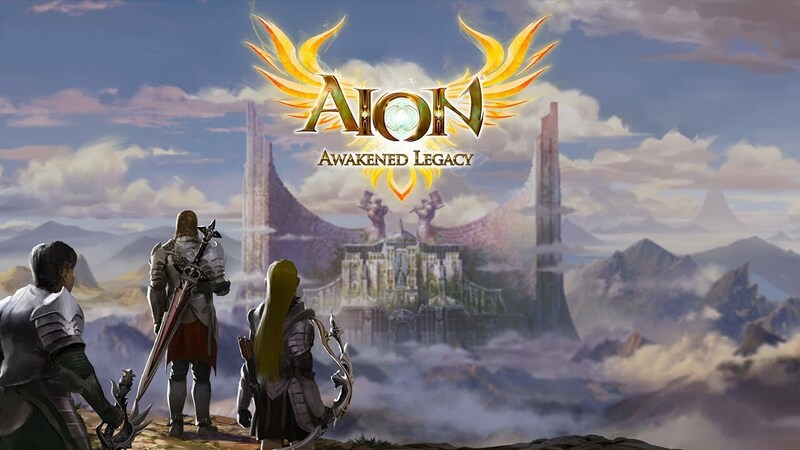 Created by the original Aion development team at NCSOFT’s headquarters in Pangyo, Korea, Aion: Legions of War is a narrative-driven RPG that exudes depth of gameplay with MMO-level complexity. As player build up their collection of heroes, they will find over a billion combinations to bring into battle across a wide range of challenges, including PvP and Guild Dungeons. All of the intense action in Aion: Legions of War is presented in standard-setting high definition 3D graphics that push the limits of what’s possible on mobile devices. Expansive details about the game modes, characters, world, and lore of Aion: Legions of War will be releasing on the game’s website: www.aionlegionsofwar.com. Gameplay livestreams, and information on how to play can be found via the official Facebook and Twitter pages. Aion: Legions of War will be available to download worldwide from the App Store and Google Play on January 24. Oh the weather of Atreia is frightful, but the new goodies coming to the Black Cloud Marketplace are oh so delightful! Have a look below to find out what makes your holiday wish list this month. On December 12, we’ll be gifting you a 7-Day Free Trial of the Prestige Pass for some holiday cheer, so you can enjoy all the benefits it brings. If you already have the Prestige Pass, the free trial gift will extend your pass by 7 free days. Learn all about the new Prestige Pass here. We’ll be adding Solorius Festival items throughout the month to the Black Cloud Marketplace. Mark the dates and don’t let these deals melt away! We’re adding new and familiar items to the Black Cloud Marketplace each month. Take a look at what’s coming in November, and mark your calendars for the Black Cloud Friday sale towards the end of the month. Available November 21 to November 26. The Shugos have big plans in the works for their special Black Cloud Friday sale in a few weeks. Amazing offers await, but what will they be? For now, only the Shugos know. Details on the big sale will be shared in the coming weeks so stay tuned for more information. The Atreia we knew has changed. Ereshkigal has torn apart our world, and as survivors, we rise up against the new challenges that await in Aion: Awakened Legacy. The update is now live and ready for you to enter and experience all of the amazing improvements to Aion. 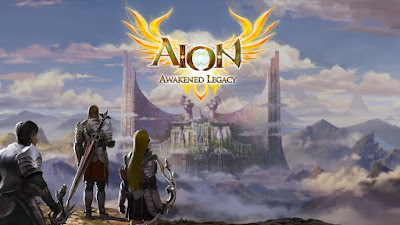 Aion: Awakened Legacy brings a refreshing and simplified experience for Daevas old and young, promising to create a streamlined and more enjoyable adventure regardless of your experience with the game. If you’ve never played Aion before—or if you’re looking to return—there’s no better time than now. Follow the path to level 80 and gain new skills and items. Claim a strategic hold in the new zone with the Lakrum Fortress Siege and discover the secrets hidden in Primeth’s Forge. Log in today and join us on our legacy servers, Katalam and Danaria, or start with a fresh character on our brand new server, Ereshkigal. Read the full changes in the patch notes here. A new zone, Lakrum, is now available. A land of vast wilderness, dotted with long-forgotten ruins has come into view. Populated by mysterious creatures not seen elsewhere and housing an enigmatic solemn fortress guarded by the Jotun, the area known as Lakrum is ripe for new adventurers to uncover its secrets. Enter this new zone with caution as Ereshkigal has taken up refuge in this land. Lakrum can be accessed via the teleporters in the capital cities, or via a return scroll. The race that occupies Lakrum Fortress can enter the Infernal Drakenspire Depths instance. There are 9 artifact bases in Lakrum. Once captured, players can acquire Genesis Crystals via quests. Genesis Crystals can be used to purchase Enchantment Stones and equipment. Lakrum has several world bosses that have powerful drops, mightiest among them Berserk Anomos. Many zones have been utterly obliterated by Ereshkigal’s wrath, and can no longer be visited. The maximum level has been increased to 80, and the leveling curve has been drastically reduced. Character stats have been simplified and standardized. Base damage for all weapon types is now unified as Weapon Damage, instead of being split between Magical Attack and Physical Attack. Magical Attack and Magic Boost have been combined into Magic Attack, which affects magical attacks and skills. Physical Attack affects physical attacks and skills. Magic/Physical Defense reduces damage from their specific skill type. Several stats have been removed from new gear moving forward, such as Increase Enmity, Strike Fortitude, Elemental Defense, etc. They still remain on previously existing items. Basic stats and PvP/PvE damage calculation for each class has been changed to accommodate the stat reorganization. Characters who were in a destroyed zone before the update will be moved to the Griffoen (Elyos) or Habrok (Asmodians) when logging in. Soul Sickness effects and death counts were reset for all characters. Bind Point Teleportation now channels for 3 seconds instead of 10 seconds. Changed the amount of AP lost when a player character is killed. Removed the buff to drop rate for new and returning users. Growth Energy has been removed. Energy of Salvation has been removed. Added 6 new appearance presets and hairstyles for new characters. Many instances have been utterly obliterated by Ereshkigal’s wrath, and can no longer be visited. Primeth’s Forge has been added. Discover the home and workshop of Primeth, recognized as the greatest smith of the Jotun. Scouts report that Ereshkigal's troops have invaded the Forge and taken Primeth hostage, but to what purpose? Brave the fire and brimstone of this challenging new dungeon, liberate Primeth, and discover the truth before Ereshkigal's plan comes to fruition! Primeth’s Forge can be accessed by interacting with the Primeth’s Forge Entrance located in Lakrum, at the Endorim Symposium. Qubrinerk’s Cubic Lab has been added. Qubrinerk, the brilliant Shugo scientist, has been working on a new way to harness Aether – Cubics! However, a greedy band of Shulacks have barged in and forced her out. She is looking for Daevas willing to help recover her research – and will reward you handsomely! The entrance to Qubrinerk’s Cubic Lab appears randomly when capturing a base in Lakrum. The entrance spawns for 12 minutes and a maximum of 24 players can enter. More information on Cubics can be found later in the patch notes. Infernal Drakenspire Depths has been added. This is a more difficult version of the previous Drakenspire Depths instance. The completion path has also been modified. Either a Clumsy Smuggler Shukirukin or a Great Smuggler Shukirukin will spawn randomly, and there is a chance they will not spawn at all. Killing one will drop a Daevanion Skill Box that contains a Daevanion Skill Book. Crucible Spire has been changed. The highest floor is now 24, reduced from 40.
he time limit starts at the 1st floor. The timer is 20 minutes and starts when the player enters the dungeon and opens the door next to the NPC. Defeating monsters grants Challenge Coins, which can be used to purchase items from an NPC in the Empyrean Crucible. The entry level was increased to level 76, and monster difficulty has been adjusted for this change. Competitive seasons have restarted and are now only available for the Arena of Discipline and Arena of Harmony. These instances have also been modified so their entries do not reset during server restarts. Changed the rewards for competitive seasons. The first season will start on October 29, 2018 at 2:00am server time (UTC-6). The number of players that can enter, the entry level, and completion path were changed for the following instances. Modified monster stats, skill effects and AI to balance with the new entry level and party sizes. Added an entrance to Beshmundir Temple to Cygnea and Enshar and modified some skill effects for the monsters within. Added Bakarma Fortress, which is an Asmodian-only version of Indratu Fortress. Indratu Fortress has been changed to be Elyos-only. The two instsances are functionally and visually identical, but due to storyline changes have different NPCs based on your race. Increased rewards for Dredgion, Idgel Dome, Evergale Canyon, Arena of Harmony, and Arena of Discipline. Fixed an issue where the boss of Contaminated Underpath would not give bonus XP for Berdin’s Favor. Changed some skill effects and battle patterns of Singing Kirshka in Mirash Sanctum. Fixed an issue where players could not return to the final boss area after attacking Typhon at the Garden of Knowledge. When transformed, characters gain a new appearance and powerful stats. Transformations can be unlocked account-wide using Transformation Contracts. To be used, transformations require Transformation Scrolls. One scroll is used per use of the transform. Higher tiered transforms offer more powerful stats, but have a lower duration. Pets that previously used stat scrolls can be set to use Transformation Scrolls. Transformation Potions can also be obtained from monsters and other sources, which are single-use consumables that provide the same stats and duration as a transformation. Duplicate transformations can be combined to acquire a random transformation. Combining larger numbers of transformations gives you a higher chance to receive a transformation of a higher tier.- You can combine anywhere from two to six transformations of the same tier, but can only use transformations for which you have duplicates. Cubics have been added, which add permanent stats onto your characters. View the Cubic list at Menu → Cubic. Each Cubic is split into Gold, Silver and Bronze. The highest level of all three is combined to add to your stats. You can see the stats that are acquired at each level of each Cubic, and the total at the top of the screen. To power up Cubics, you need to collect Cubicles. Click the Register button to store them in the Cubic. Cubics can be acquired from Qubrinerk’s Cubic Lab, or from monsters in Lakrum. Stats acquired from Cubics are applied to all characters on your account. Enchantment has received several changes. Added PvE and PvP Enchantment, which can only be used with new gear using new Enchantment Stones for each type. Enchantment rates have been simplified. Enchantment supplements can no longer be used. Reduced the time required to enchant from 5 seconds to 2 seconds. Added a function to set the number of attempts so you can repeatedly attempt enchantment. Removed all crafting and gathering disciplines except Aetherforging and Essencetapping. Aetherforging and Essencetapping skill levels are retained from before the update. Essencetapping Mastery is now promoted through Kinah instead of quests. Aetherforging is now learned at level 76, and has an all-new crafting list. Most Morphing formulas were deleted. Retuning can now be done through the Gear Modification window using Kinah, without the need for scrolls. You can now view the available stats and stat ranges. Cost is determined by item level and rarity. Added Selective Retuning, which can be used with Luna. You can select the specific stat to retune from the list of stats the item already has. Cost is determined by item rarity. Equipment from before the update can be selectively retuned only after it has been retuned using kinah. Added Shards, which can enhance attacks and spells. Equip Shards to the Shard slot and activate it (default keybind ). Keybind settings are in Options → Key Mapping → Combat. When Shards are activated, a visual effect displays on the equipped weapon. The quantity of Shards consumed per normal attack is determined by the weapon used. The quantity of Shards consumed by skills is determined by each skill, regardless of weapon. For DoT and AoE skills that use Shards, the Shards are consumed once at the first strike. Shards can be acquired from monster drops and the Gold Sand Traders. Old gear enhancement systems cannot be used with new gear. Added a system to expand Manastone slots. New gear comes with its Manastone slots closed. They must be opened by using Manastone Fasteners. The quantity of Manastone Fasteners required depends on the level and rarity of the item. Manastone Fasteners can be acquired via equipment extraction. Modified Equipment Extraction to reward Manastone Fasteners. Enchantment Stones and other materials can no longer be acquired via Equipment Extraction. Removed the Private Store function. Removed Archdaeva and all related systems, such as Essence, Soaring, Skill Boosting, Level Reduction, etc. Rifts will randomly spawn with no predictable schedule starting in Inggison and Gelkmaros. Rifts will not spawn in Asmodae or Elysea. The maximum level for a rift increases the further it is located from the zone’s starting area. 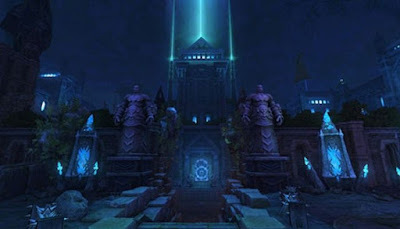 For example, rifts near Forest of Antiquity will have a higher maximum level than rifts near Inggison Illusion Fortress. Rifts can spawn randomly at any time. All sieges have been closed except for the Divine Fortress and Lakrum Fortress. Additionally, the siege schedule is changed. Since many of the fortresses are no longer available, the Ariel's Blessing/Azphel's Blessing can no longer be obtained. Marchutan's/Kaisinel's Protection, which is granted when the opposing race continually occupies the fortress, can still be obtained. All fortresses and artifacts will be reset to Balaur control at the update. Sieges were changed from Coalitions back to participation. Ownership of a fortress is determined by individual/Legion participation. Legion participation is calculated from the participation of all members who took part in the siege. When victorious, fortress ownership will go to the individual/Legion with the highest participation in the battle with the Guardian General, from the race that dealt the killing blow. Fortress rewards are distributed both to legions and individuals based on their participation. The faction that owns Lakrum Fortress will defend during the next siege. Divine Fortress will be recaptured by the Balaur before each siege, so both factions attack. Divine Fortress can be accessed via Luna teleportation, or by the portals that spawn in Lakrum when the fortress goes vulnerable. The portals last for 2 hours. Changed the location of the Artifact Core which appears after triggering artifacts during the Divine Fortress siege so it appears in a random location, and increased its HP. Daevanion Skills have been added. Daevanion Skills can be used starting at level 80 and add new effects onto select existing skills. Most skills with Daevanion options have multiple to choose from. Many Daevanion skills synergize with other skills for each class, such as reducing cooldown times or invoking special effects. Daevanion Skills can be learned from Daevanion skill books. These books can be purchased at the Gold Sand Traders or obtained from Smuggler Shukirukin in end-game instances. Numerous skills have been reworked, combined or deleted for each class. Skills with similar effects and cooldowns were combined. For example, the Sorcerer’s Magic Assist skill now increases Magic Accuracy and Supplication of Focus has been deleted. Flight-only skills that were rarely used have been removed from the game. For example, the Chanter’s Wind Mantra and Swiftwing skills. Some buff effects were changed from active skills to passive skills. For example, the Sorcerer’s Robe of Flame skill is now a passive skill. Each class now has 2 DP skills. Adjusted the level at which some skills are learned. For example, the Assassin’s Flash of Speed skill is now learned at 73 instead of 17. Some skills learned before level 65 have had their levels adjusted based on level 75. The Warrior’s Raging Fury skill will change into Severe Weakening Blow for Gladiator, and Taunting Roar for Templar. When a Gladiator reaches level 76, Ferocious Chop will turn into Ferocious Leap. Class armor proficiency skills have been locked to a single type. This is retroactive to previously created characters. Gladiators and Templars can now only equip plate armor. Clerics, Chanters and Aethertechs can now only equip chain armor. Assassins, Rangers and Gunslingers can now only equip leather armor. Sorcerers and Spiritmasters continue to only equip cloth armor. Increased the number of custom chains to 5. Enchanting stigmas to +9 or higher now unlocks 2 additional Stigma slots instead of 1. Remove Shock (all classes): Cooldown reduced to 30 seconds, changed chain to 1. Counter Leech: Added MP restoration, and reduced MP cost by 50%. Invigorating Strike: Reduced the MP cost by 50%. Break Power: Increased physical damage. Righteous Blow: Increased physical damage. Punishing Thrust: Increased physical damage. Empyrean Armor: Increased the HP recovery. Added the Signet Silence skill. Rune Slash: Fixed an issue where the skill would sometimes not trigger. Changed some skill visual effects. Changed some skills so they can be used outside of chains. Devotion: Added a weapon damage effect. Bestial Fury: Changed the attack distance reduction effect. Changed the visual effects of some skills. Wind Spear: Added an HP absorption effect. Soul Torrent: Changed the effect. Inescapable Judgment: Changed the acquisition level. Magic’s Freedom: Fixed an issue with the magic defense reduction. Curse of Water: Now affects Magic Resistance instead of Spell Debuff. Curse of Fire: Now affects Magic Resistance instead of Spell Debuff. Summon: Tempest Spirit: Decreased the cast time to 0 seconds. Summon: Lava Spirit: Decreased the cast time to 0 seconds. Sandblaster: Added Magic Defense reduction. Fixed an issue where spirits would be summoned at too low a level if the Spiritmaster was within certain level ranges. Fixed an issue with Sympathetic Mind. Fixed an issue with Backdraft, Summon Cyclone Servant, and the pet’s skill. Changed the sound or visual effects with some skills. Benevolence: Adjusted the healing boost effect. Leaping Flash: Added a stumble effect. Word of Inspiration (Stigma): Adjusted the accuracy effect. Precision Shot: Fixed an issue and the tooltip. Steam Rush: Fixed an issue. Debilitating Blade: Adjusted the Physical and Magical Attack reduction. Heat Burst: Changed the acquisition level. Crosstrigger: Reduced the MP reduction. Canted Shot: Reduced the MP reduction. Aerial Shot: Reduced the MP reduction. Exultation: Adjusted the healing effect. Thronesong: Changed the Physical Attack and Magic Accuracy values. Stinging Note: Changed the Magic Resistance and Magic Defense reduction values. Joyous Carol: Fixed a typo in the tooltip. Gust Variation: Adjusted the Aerial Thrust time. Chorus of Blessing: Fixed a typo in the tooltip. Adjusted the levels at which Stigma Slots are acquired to fit the new level cap. Fixed an issue where some chain skill animations would be delayed after using some skinned skills. Fixed an issue where some skill skin items could not be used or were displayed as blank spaces. Fixed an issue where some skill descriptions display incorrectly. Fixed an issue where some passive skills are not displayed properly after acquisition. Fixed an issue where some PvP-related skill effects would not trigger correctly. Kinah can no longer be moved between characters except through the Trade Broker. Removed the ability to send Kinah through mail, the Account Warehouse, Legion Warehouse, direct trade, group distribution, etc. Added 3 new rarities – Ancient, Legendary and Ultimate. The new rarities will apply to all new equipment. The old rarities and items will still exist, but no more equipment of those rarities will enter the game world. New equipment provides PvE/PvP Attack/Defense, which is calculated as a flat value rather than a percentage. Armsfusing two weapons where both have PvE or PvP stats will take the higher of the two values. Armsfusing two weapons where one has PvE stats and the other has PvP stats will retain both values. Plumes and Bracelets now have PvE and PvP versions. Added the Gold Sand Traders shop where players can spend Kinah and Gold Ingots. Players can access the store on the right side of the quickbar or via the menu. Numerous items have been terminated and can be sold for Kinah or AP upon logging in. Terminated equipment can no longer be extracted. Archdaeva equipment now has a hard level requirement equivalent to the previous recommended level. They cannot be equipped at lower levels anymore. Removed Combat Power from item tooltips. Separated the ability to sell items on the Trade Broker from other item restrictions. Items have a “Can be Brokered” or “Cannot be Brokered” tooltip restriction. NPCs that exchange Omega Enchantment Stones, Tempering Solution, Transcendant Tempering Solution and +12 Manastones have been added to the capital cities. Power Shards have been deactivated and returned to the player inventory. They are now terminated items. Return scrolls for deleted zones have been converted into a scroll that lets you pick the destination. Instance Entry Scrolls for deleted instances have been converted into a scroll that lets you pick the instance to add an entry to. Unusable crafting boosts have been converted into 100 Tea of Repose – Full Recovery. Added the ability to extract accessories (necklaces, earrings, rings), plumes and bracelets. Level 65 and below equipment now have unlimited wrapping charges. This does not include quest equipment, exclusive Legion equipment, or temporary gear. Wings will now gain Flight Speed when their enchantment level goes up. Fixed an issue where the Rabbit Ear Headband could not have its appearance applied or changed. Fixed issues where some items had incorrect appearances, icons or other visual effects. Skill 1 is now an active support skill and is acquired by maxing your Minion Energy. Skill 2 is now a toggle skill that provides a buff to the character. Skill effects increase as the minion’s evolution level increases. Increases PvE and PvP attack for a period of time. Chance to silence target with each attack. Increases movement speed and abnormal status resistance for a period of time. Chance to remove a debuff each time you are struck. Increases Magic Attack, Attack Speed, HP, and Casting Speed for a period of time. Chance to increase movement speed, flight speed and healing effects each time you are struck. Chance to stun target with each attack. Increases PvE and PvP defense for a period of time. Chance to gain a damage reducing buff each time you are struck. Reflects some damage to your attackers for a period of time. Chance to reduce the target’s movement speed with each attack. Deals additional damage to the target and nearby enemies for a period of time. Chance to stumble target with each attack. Increases attack range for a period of time. Chance to reduce enemy’s attack speed each time you are struck. Recovers HP immediately and over time. Chance to restore HP each time you are struck. Chance to deal additional damage with every attack for a period of time. Chance to decrease an enemy’s MP each time you are struck. Creates a shield that blocks damage for a period of time. Chance to deal additional damage with every attack. End-game instance bosses and Lakrum field bosses. Challenge Coin exchange. Challenge Coins are earned from Crucible Spire. Changed how Minion Energy is acquired. A portion of XP from quests, monster kills, etc. are provided as Minion Energy. PvP kills provide Minion Energy. Removed the ability to acquire Minion Energy by spending Kinah. Minion Points can now be acquired through XP from quests and monster kills. Using other Minions to acquire Minion Points is still available. Changed the rules and UI for combining Minions. The combination success rate has been increased, but minions are now required to be at Evolution Level 4 to be combined. Because of this, Kerubim-type minions can no longer be used for combination and can only be used for acquiring Minion Points. Added a note to the Combine tab with this information. Minium has been divided into grades. Minium existing before the update will be renamed to Grade A Minium. Grade B and C Minium have been introduced. In order to advance a Minion’s evolution level, you must use Minium of the same grade as the Minion. The main storyline and campaign has been completely reworked. Many quests related to old systems, zones, instances, mechanics, events, etc. were deleted to support the new progression path for players. Added new quests for the new zone and instances. Added tutorial quests that are acquired throughout the leveling path. To start them, click on the “Start Tutorial” button in the Quest Description window. New and returning players can receive growth support quests from the following NPCs. Some quest objects have had their respawn timers shortened. Fixed an issue where some quest objectives could not be found. Changed the location of some quest objectives to reduce their difficulty. Added new quest organizations that can be encountered in Lakrum. New functions were added to the Gear Modification window to accommodate new systems, and the window was reorganized. Deleted the Item Skill tab from the skill window. Reorganized the tutorial system as quests. Removed UI related to any removed systems, mechanics, instances or zones. Added information about instance rewards to the tooltip that displays when mousing over the instance icon on the map. Expanded the preview UI window. Removed level requirement information from instance information displayed on the Map window. Fixed an issue with the display for instance entry waiting time. Removed information related to repeated activations on the skill icons in the skill window. Fixed an issue where some information in the UI would start a new line depending on the resolution of the client. Fixed an issue where the event window didn’t open or refresh under certain circumstances. Changed the Legion Task quests and rewards. Added 8 weeks of rent to all currently owned houses. The starting prices of houses was reduced by 10%. Reduced the respawn time for the Zephyr Deliveryman to 1 minute. Added a new server, Ereshkigal. Ereshkigal will not be available for server transfers for a period of time. The Fast-Track Server has been removed. The SvS Server has been removed. A portion of players’ Kinah has been changed into Gold Ingots. Kinah from mail and broker is added to the inventory. Gold Ingot is provided for approximately every 30 million Kinah. The Kinah is then deleted. Approximately 12 million Kinah is refunded to characters for every gold ingot earned. For the account warehouse, Gold Ingot Bundles containing 1 ingot each are provided. Kinah is provided as 12 Kinah bundles containing 1 million Kinah each. Characters with a low amount of Kinah are not affected. Kinah costs for most items and systems have been modified. Essence Cores of level 5 or higher will be exchanged for Gold Ingots at the following rates. These Gold Ingots are not included in the Kinah refund described above. Unusable crafting boosts and instant experience potions (for example, Jug of Liquid Experience) will be exchanged for 100x Tea of Repose – 100% Recovery each. Stat boosting scrolls will be exchanged for Legendary Transformation Potion Boxes at a rate of 1 box per 100 scrolls. Each box allows you to select a stack of 3 potions. The calculation looks at each scroll type separately. For example, 250 Greater Running Scroll (1 hour) and 75x Greater Courage Scroll (1 hour) will result in 2 potion boxes. Only scrolls that can stack together are calculated together, even if they have the same name. The individual value of Luna has been matched with Black Cloud Coin. All Luna prices have been multiplied by 8. All Luna bundles have had their contents multiplied by 8. One week after the Awakened Legacy update, players will be sent 7x their current amount of Luna via in-game mail (for 8x total the amount they have during the update). The calculation will be based on the amount of Luna present during the maintenance for the Awakened Legacy update. The Luna Crafting list has been changed. Players can now obtain mounts, crafting materials, PvE Enchantment Stones, and other useful items. 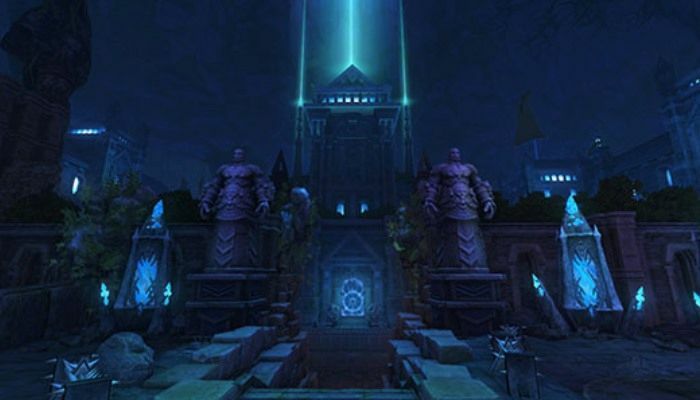 Players can teleport to the Abyss Core or various areas in Lakrum. Teleportation cannot be used while in combat. The rewards and prices for Daishunerk’s Game of Fate have been adjusted. The rewards for Secret Munitions Factory and Contaminated Underpath have been adjusted. The rewards for Munirunerk’s Treasure Chamber have been adjusted. Luna can now be used to purchase additional instance entries on the Instance Info window. Luna can now be used for Perfect Resurrection. Perfect Resurrection resurrects you with full HP and MP, and the effects of soul sickness are ignored. Luna can now be used for Selective Retuning. This allows you to pick the specific bonus stat to retune. Luna can now be used to purchase Lunamin’s Cheer. When entering an instance, you will be able to spend Luna on a buff that will last until you leave the instance. The Black Cloud Marketplace has received a full overhaul. Players can now search for items. They can also sort by a variety of parameters and control how many items appear on each page. Cosmetic items can be previewed directly on the current character by clicking the “Preview” button located under the thumbnail image on the item detail page. Pets and furniture can be previewed in a similar fashion. The Black Cloud Marketplace now uses Black Cloud Coin, a new currency that replaces NCoin. Black Cloud Coin can be purchased entirely in-game by clicking the “Buy BC Coin” button in the upper right corner of the Marketplace window. When an account that has NCoin accesses the store, they will be notified about this change and prompted to exchange some or all of their NCoin to Black Cloud Coin. Players can exchange as many times as they wish, but there is a minimum of 10 NCoin required per exchange. Items and codes have an improved delivery method. Upon purchase or code redemption, items will be delivered directly to the Black Cloud Deliveries tab of the mailbox. This tab displays all the unclaimed items available to the account and can be accessed by any character on the account. Once an item has been withdrawn from the Black Cloud Deliveries tab, it will be removed from the tab for all characters. Code redemption still goes through the Account Management section of the website. Upon entering a code, the items will be directly deposited into the Black Cloud Deliveries tab without need for further action. Changed the Sellable to NPC item description to Can be Brokered. The Prestige Pass now offers new benefits. Added +30% XP, Drop and AP. Added Strong Energy of Repose. The previous Prestige benefits (Coins, Instance Entries, Siege Rewards, etc.) still apply. The Lucky Hands Buff has been reworked into a PvE stat buff. Now provides +300 PvE Attack and +200 PvE Defense. Renewed the Prestige Vending Machine merchant list. The Prestige Case has been reworked and has had its items renewed. A single-use Prestige Case is earned 10 minutes after logging in each day with an account, simultaneous with the first bump of Prestige Coins. The single-use case stacks, can be placed in the Account Warehouse, and does not have a timer. Prestige Cases from before the update have been renamed to “Prestige Case (30 Days)” and will retain the same functionality, but will have the new item list. Prestige Quests have been renewed. Visit Shugorobo to check them out. A monthly quest provides a unique cosmetic animation only for active Prestige Pass users. A set of weekly repeatable quests provide additional rewards for participating in end-game content. All old Prestige Quests have been deleted. Reduced the number of Prestige NPCs in-game as part of the Prestige Society’s ongoing cost-budget analysis. Prestige Pack monthly bonus rewards will be swapped out to contain Prestige Coins. The amount of Prestige Coins scales from 60 for the Month 1 reward to 240 for the Month 36 reward. Old Prestige Pack codes will be expired during the update. We will deliver the items from expired codes to players within 1 week of the update. Players will receive 30x Prestige Case instead of 1x Prestige Case (30 Days). Lucky Scroll Pouch will not be included as this item is part of the migration. The new Black Cloud Lockbox is now available. The Black Cloud Lockbox contains a variety of items and an all-new list of contents. Black Cloud Lockboxes can be opened with Black Cloud Lockbox Keys from the Black Cloud Marketplace. Black Cloud Lockbox Keys can also be found as drops within instances. When opened, each Lockbox provides one random item and a quantity of Lockbox Coins. Sometimes, a Lockbox will give an additional rare item. This is in addition to the coins and normal random item. Lockbox Coins can be spent at Lockbox Coin Vending Machines in the capital cities. Vending Machines carry an assortment of Lockbox prizes as well as exclusive cosmetics. Lockbox Coins can be placed in the Account Warehouse but cannot be traded, brokered or placed in the Legion Warehouse. All previously-existing lockbox items have been converted into their Black Cloud Lockbox equivalents. Lockbox Key Pouches and Power/Utility/Fortune Lockbox Keys have been converted into Black Cloud Lockbox Keys. Power/Utility/Fortune Lockboxes have been converted into Black Cloud Lockboxes. Power/Utility/Fortune Lockbox Caches have been converted into Black Cloud Lockbox Caches.